Deb Williams, Senior Writer for RacinToday.com, collected major awards in Charlotte. 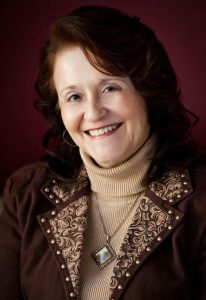 RacinToday.com senior writer Deb Williams is this year’s recipient of the North Carolina Motorsports Association’s Jim Hunter Memorial Media Award. NASCAR Vice Chairman Mike Helton presented the award to Williams Jan. 29 during the association’s annual industry awards ceremony at the Concord (N.C.) Convention Center before a crowd of about 400. The award is named for Jim Hunter, who served in various executive positions with NASCAR including overseeing the communications department. He also is a former Darlington (S.C.) Raceway president. Others honored at the event were Hickory (N.C.) Motor Speedway, the Martin Truex Jr. Foundation, Kooks Headers, and the ROVAL at Charlotte Motor Speedway. Four days earlier Williams received third place in column writing from the National Motorsports Press Association.